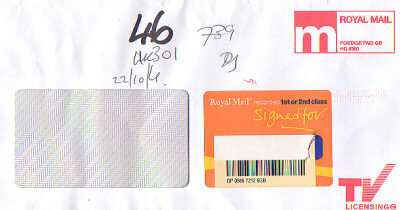 If you cheated and looked at the envelope you already know what is coming now. 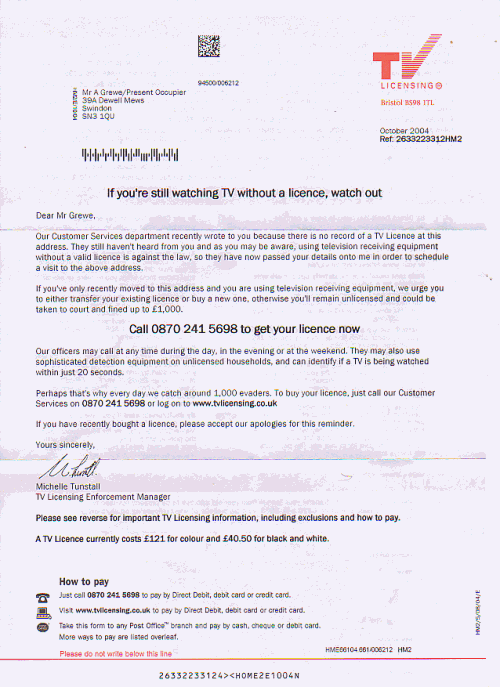 Yes, it was another letter from my good friends at TV Licensing. Considering they had sent it by registered mail I was expecting something exciting when I opened it, something like "We'll send the boys round if you don't pay up" or "We'll park our famous detector vans in front of your house for the next month". No, nothing like it. Just another boring letter.